Greetings fellow Citizens! CIG has put out a Q&A about the recently introduced Aegis Dynamics Retaliator modules! Retaliator Modules! The first big step into the crazy world of modularity. I think it’s pretty cool all told… allowing some flexibility within ship designs while still having dedicated ships that do certain tasks the best. 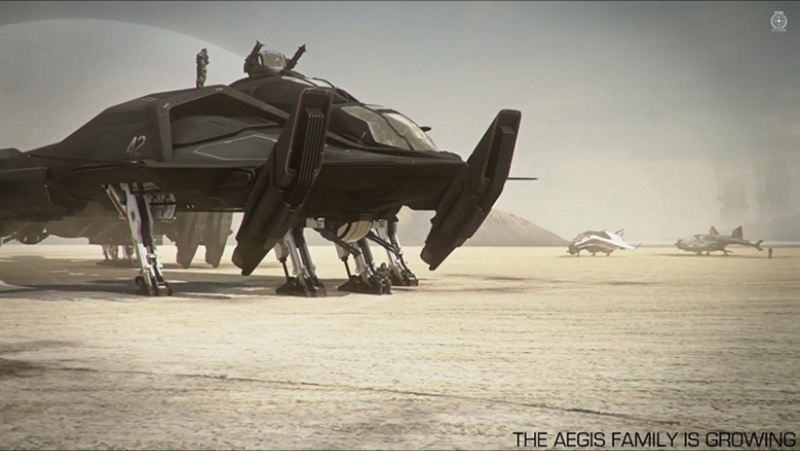 For example the Retaliator can haul cargo… but not much, especially for a ship that size. They mention in the Q&A that there will be a mining module as well but again, nowhere near as effective as the technology aboard the RSI Orion. And we also find out the idea behind the Living Quarters module! Will all ships have modules, if not which ships will get modules? No! It will vary from ship to ship; many will have individual components you change and only some will be specifically designed to swap out modules. We can’t give you the entire rundown today, but we will go ahead and announce that the Endeavor platform is designed around a similar system of modules that change based on role. On modules in general: Will modules for all the possible jobs/roles in Star Citizen be available for all ships? Or will it be decided that perhaps a Retaliator can’t be used for mining or a Cutlass can’t be used for exploration? I’ve used arbitrary examples of course! No, there will always be limitations – we don’t see every ship as being able to fulfill every role (and especially, we don’t see every hull as being effective for every task.) We do have a mining module in development for the Retaliator, but because of the nature of the ship it would be significantly less useful than the technology on a dedicated ship like the Orion. What are the benefits of “living space”? Is it cosmetic as well as functional? (such as being able to transport passengers?) Or mostly cosmetic? Living space will let you use the Retaliator as a personal transport and tie into the larger passenger system discussed during the Starliner rollout… but in addition to that, it’s intended to speak towards personal customization, a place you can set up as your own much like you will your Hangar.